When you live in a cold, northern climate you sometimes just feel lucky to make it to March 1 with your sanity intact. After months of shoveling, freezing toes and slipping on black ice, you can hardly remember what it feels like to sit outside with a cold beer and the sun on your face. But take heart, dear friends – spring is indeed on its way. Soon we’ll be seeing flowers, chirping birdies and evenings that aren’t pitch black by 6 o’clock. 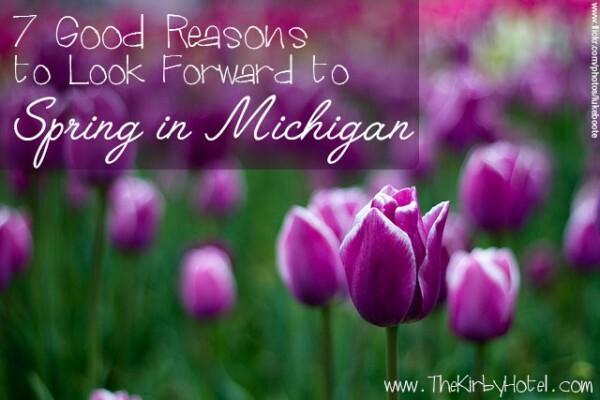 So try to hold on just a little longer, and get yourself pumped for the season of renewal by planning a fun trip to the Mitten State, one of the best places to enjoy this beautiful time of year. What better way to celebrate the start of spring than to visit a magical butterfly exhibit? The Lena Meijer Tropical Conservatory in Grand Rapids (just 40 minutes from The Kirby) hosts the country’s largest tropical butterfly exhibit. Walk around the conservatory (kept at a summery 85 degrees) and take in the wonder of 7,000 gorgeous butterflies of 50 different species. If you want to celebrate the luck o’ the Irish without battling the chaos and crowds in Chicago or Detroit, come stay with us over St. Patty’s Day weekend and head to nearby Holland for their annual parade. The festivities will begin at noon and the parade (complete with bagpipes, kilts and Irish dancers) will end at Curragh Irish Pub and the New Holland Brewing Restaurant and Pub, where you can belly up to the bar and order one of the craft brewery’s delicious brews right where it’s made. Whether you celebrate the religious aspect of the holiday or not, you’ll enjoy Saugatuck’s own hat parade and contest. It’s the perfect opportunity to create your own wild headpiece or simply show off a favorite outlandish one in your collection. And keep in mind that an actual winner will be declared, so bring your best! For more info, call (269) 857-1701. If you’re not up for venturing all the way down to Churchill Downs in Louisville this year, but still want to get into the spirit of the Kentucky Derby, Saugatuck’s Derby Celebration is the next best thing. Don your biggest hat, pick a horse to cheer on and get ready to knock back a few mint juleps. See the soulful singer of “Walking in Memphis” at our own premiere performance venue. Start the night with a delicious wine and cheese pairing and then head out for an entire evening of music and storytelling with this award-winning singer-songwriter. Just 15 minutes from The Kirby, you’ll find the beauty of Dutch tulip fields right here in Michigan. The 86th annual celebration of the city’s Dutch heritage features hundreds of thousands of colorful tulips, but also parades, live dance and music performances, arts & crafts, a carnival and more! 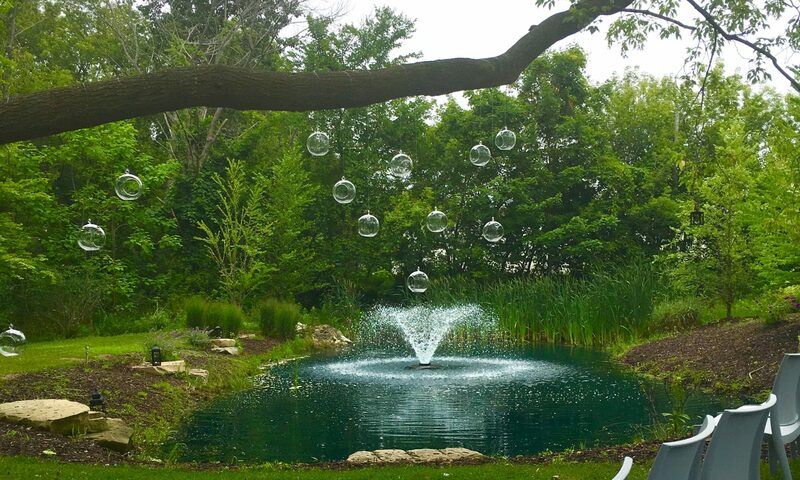 A short drive south along Lake Michigan is the lovely town of Saint Joseph, which hosts this laidback festival that celebrates some of the best things about spring and summer: barbeque, live music and local, craft beers and wines. There’s a lot more going on in our great state in the upcoming months, but these are just a few of the fun events we thought you’d enjoy. Pick your favorites, book a room with us and mark your calendar with something fun to look forward to – believe us, it will make getting through the tail end of winter just a little bit easiser!